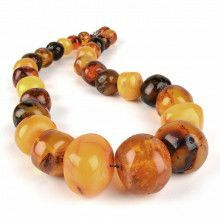 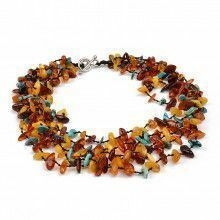 This amber necklace for babies or toddlers features a string of 100% genuine Baltic Sea honey amber beads. 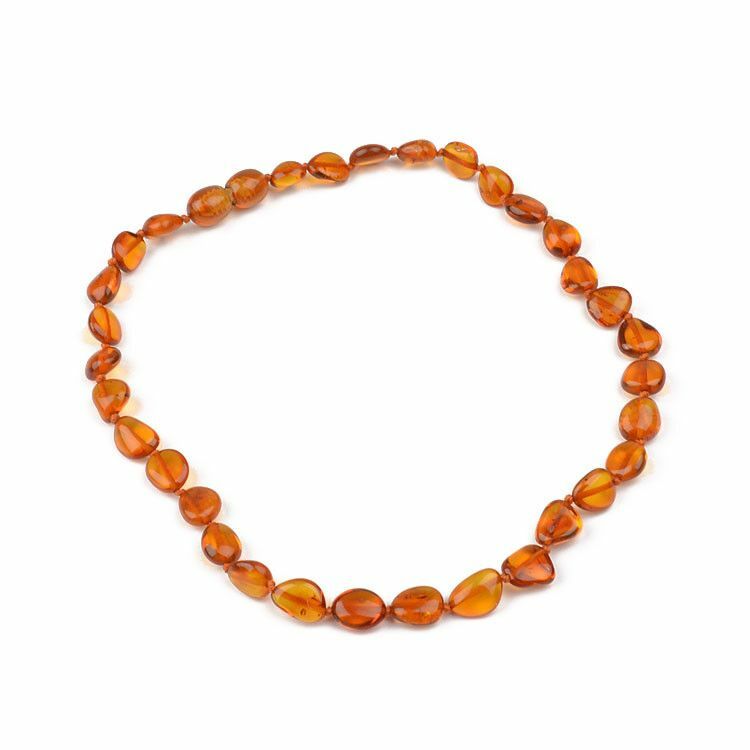 Amber has natural acids and oils that produce a natural analgesic pain reliever when worn against your baby's skin. 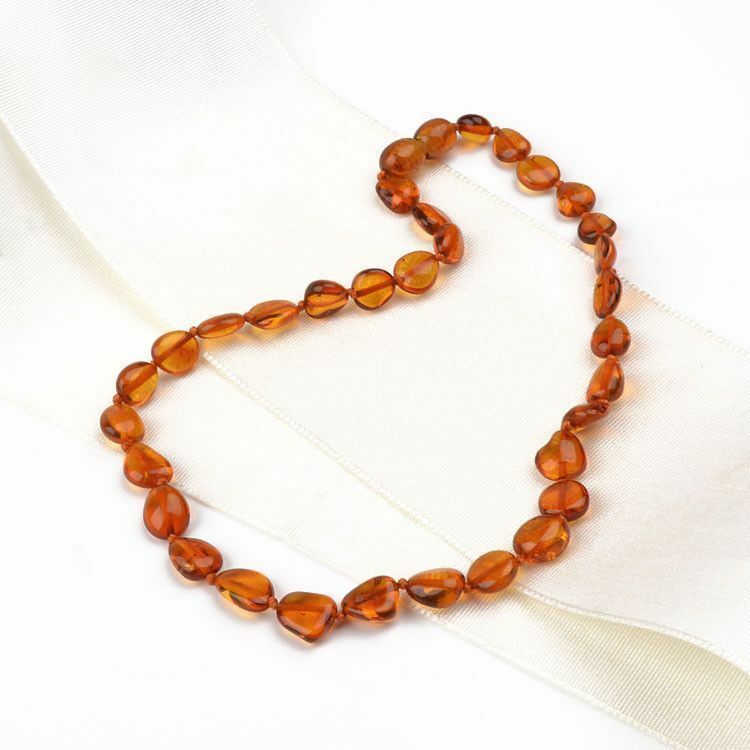 Amber as a stone warms with wearing, making it a comfort for your baby. 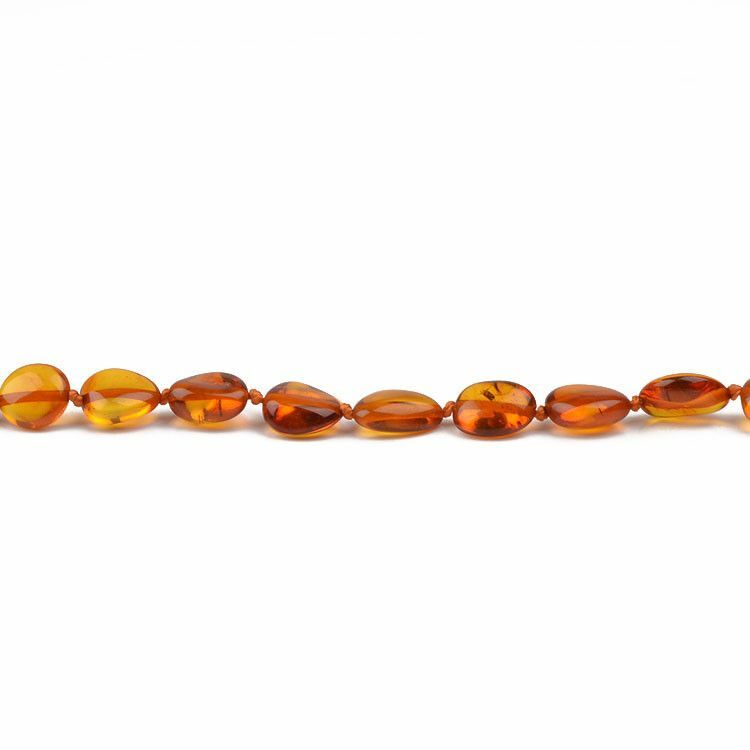 Amber is also very lightweight. 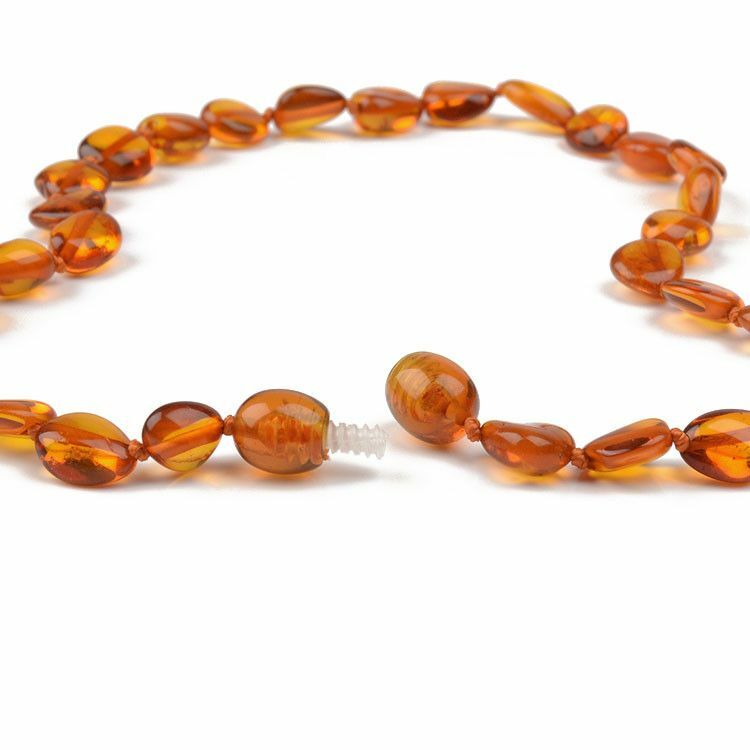 Amber teething necklaces are not intended to go in your baby's mouth. 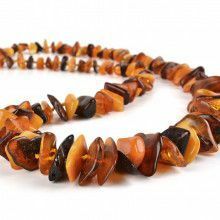 Hidden barrel clasp and knotted string in-between each and every stone.